"Brave" takes place in Scotland, and is about Merida wanting to change her "fate." Prior to the movie opening there are previews of Hotel Transylvania & Monsters Inc prequal. There is also a Pixar Short called La Luna which is pretty cute. 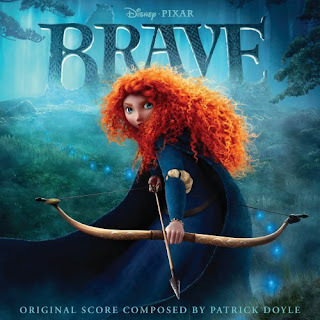 Now about Brave... I really was surprised how Brave was. I heard from people on forums how it didn't hold up to Disney Standards but I thought differently after seeing. You can never judge a movie by the film reviews most of the time because all it is really is someone's opinion. Did you know The Wizard of Oz got bad reviews? (and look at it now). Anyway. I really liked the story line and the music is really good to say the least. It is also in 3D. What ever Dimension, you should it in, it's really good.